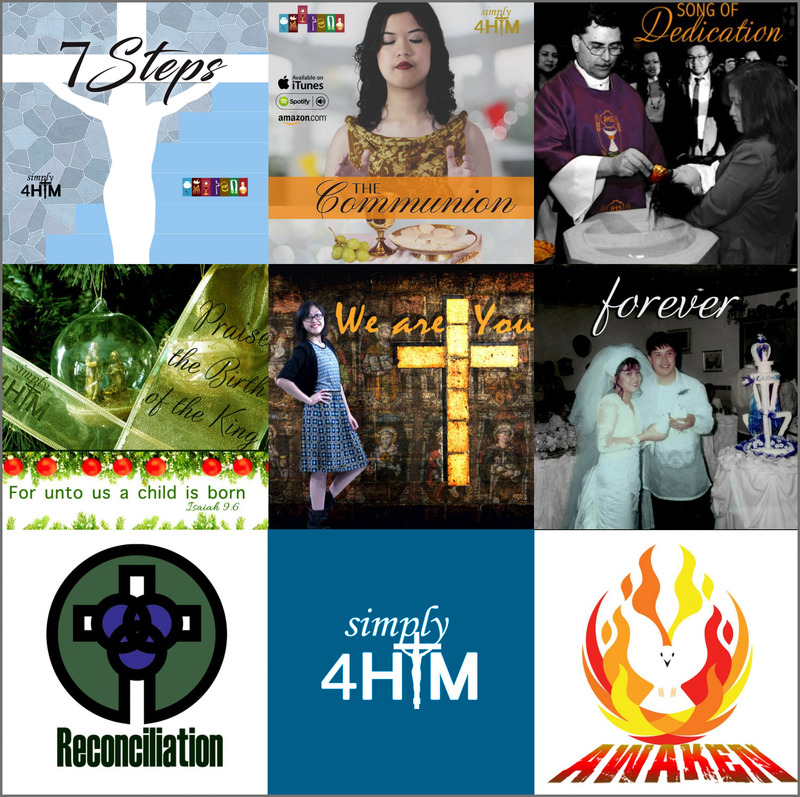 We are a Catholic family band called Simply4Him who believes that music was created to glorify God and to sanctify His people. We serve in our parish and we are a part of a Catholic Charismatic Community called Couples for Christ. Our children are members of its ministries. We cannot think of another place to be in order to learn and share not just God's music but everything about our faith. This is home for us! We would like to share with you the first album God worked on through our family. It's called 7 Steps (for the seven sacraments in contemporary style of music). Available in digital stores. God bless! God works in mysterious ways indeed. Hello, Richard! God works in mysterious ways indeed. My husband and I have been serving in the Music Ministry of Couples for Christ since our children were babies. I believe their exposure to charismatic, contemporary Catholic & Christian, and traditional music plays an important factor for us being a family band now (more of ministers really). FOREVER (for the sacrament of marriage) was composed by our two elder daughters on one of our anniversaries. SONG OF DEDICATION (for the sacrament of baptism) was written when our youngest one was baptized and we were the music min during the celebration of the mass and had no clue which song to sing haha (because we just started serving in our new parish at that time). My second daughter who was then 14 yrs old composed WE ARE YOURS because she was so inspired by our priests, nuns, and missionaries, and the works they continue to do for the love of God. We noticed that in all three circumstances, God was writing about the very spiritual life source of a Catholic. And so with much fasting, prayer, and sacrifice, we dedicated the making of the album 7 STEPS to Him. It wasn't easy, I can tell you that in all honesty. It was only through the encouragement, inspiration, and help of our family and friends (whom we call FRIENDS OF SIMPLY4HIM) were we able to finish the album. Lack of funds was our challenge because we have only one source for a family of eight. Being surrounded with people who know our passion for Christ coupled with our love of His music continue to allow us to walk the path God has called us to travel. We created our own music studio, and my husband is our mixing and mastering engineer. We write according to the leading of the holy spirit. We fast and pray whenever we feel God wants us to compose. We listen to and draw inspiration from other Catholic and Christian contemporary musicians. We have music ministry teachings, workshop sessions, and retreats as a family. We learn from these. These are what we do. None of us had any degrees in music nor formal music lessons simply because we cannot afford it (lol). We serve once a month at St Joseph Catholic Church in Kannapolis NC and still serve as the music ministry of Couples for Christ along side the other members of the community. Understanding the sacrifice Jesus had to go through for our salvation, and being able to carry a part of that cross is the only thing we can do right now. So whether or not it is easy for musicians like us to spread about Him it is surely one of the most rewarding experiences hearing people say they felt God through the music He wrote through Simply4Him. And we praise and thank God for making us truly ministers of His words knowing that. Thank you for featuring us! We hope and pray this will help reach more Catholic (and non-Catholic) brothers and sisters. All glory to God! Thank you for your kind and awesome reply! So good to know the details of your music ministry. I hope and pray your words will be an inspiration to others. What a blessing to have 6 children. 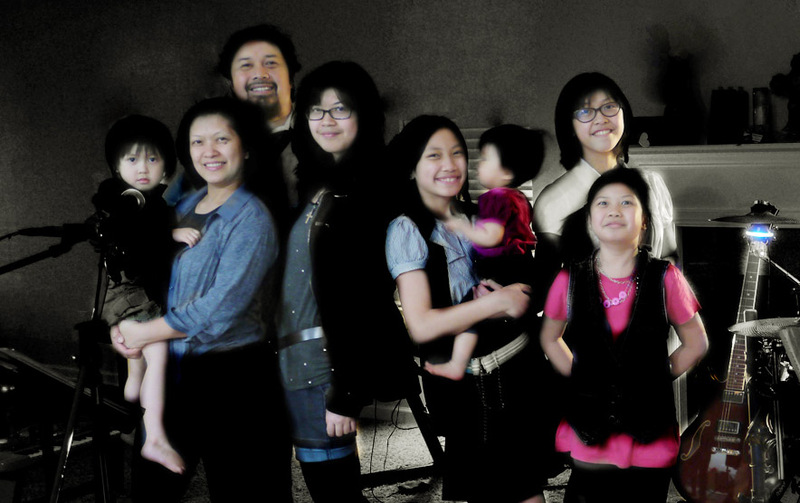 We have 7 children – and 6 grandkids! We sacrifice much for them but receive much in return. Our concern for their welfare as well as our rejoicing in their "moments of achievement and goodness" are often the inspiration for our original songs. And as you rightly noted, God is the prime source of inspiration. Very nice to know how you fast and pray before creating a song. Much like an iconographer! Wow 7 children - indeed they are blessings from above! True inspirations for song writing. Thank you for sharing!